Frieda Loves Bread: Marvelous Meatballs: Pressure Cooker Fast! 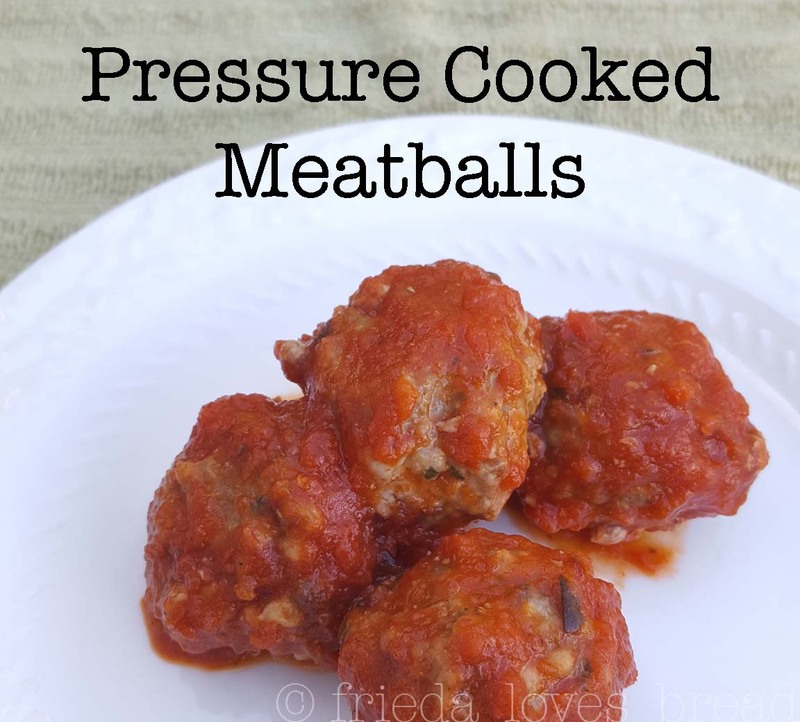 0 Marvelous Meatballs: Pressure Cooker Fast! Several years ago, I wrote a post about making my own meatballs and freezing them, as the ones from Costco were a wee too spicy for us. 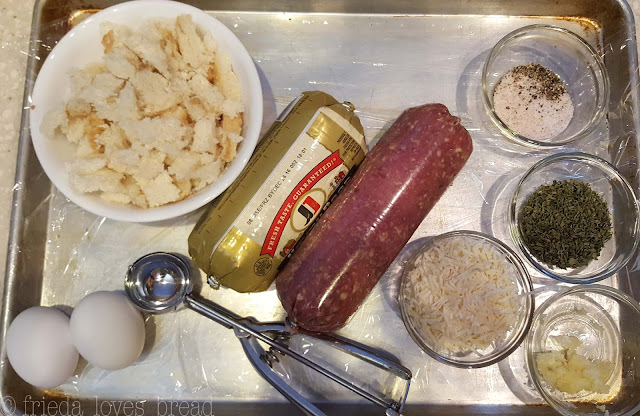 What's great about making your own meatballs is that you get to choose how mild or spicy they are, freeze them to use in pasta, sandwiches, appetizers, and save some money from buying the pre-made frozen meatballs. 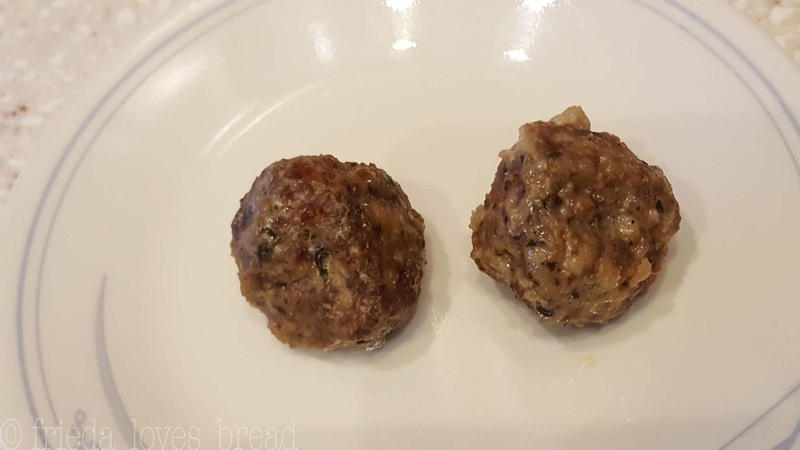 I have made these meatballs over the years using the oven, which is great and wanted to see if I could cook them in the pressure cooker. 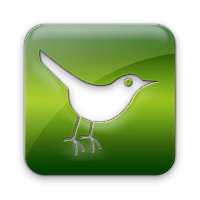 Would it save time? Would it taste great? Would I need to brown them? The ingredients are simple and do not require a lot of prep. You can choose a mild sausage or a spicy sausage, depending on what your plan is for the meatballs. The key to making great meatballs is not to over mix them, which creates a tough, chewy meatball. Enter disposable plastic gloves. 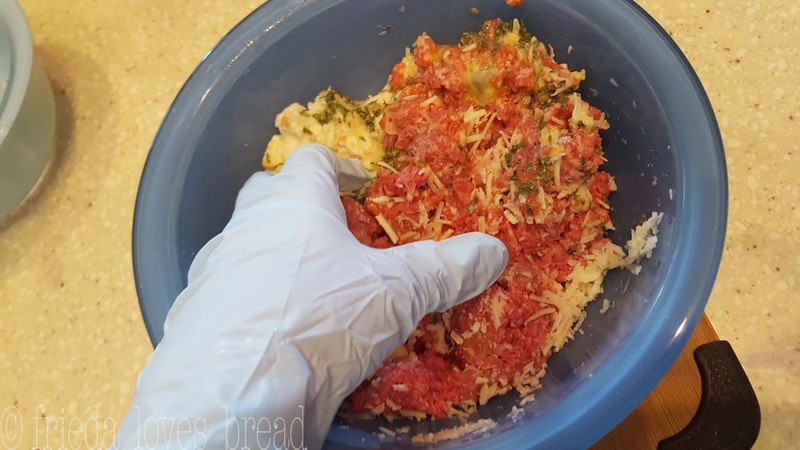 Not only do they help with mixing the meat, they help in rolling the meatballs smooth, as they will not stick to your hands. I love using a 2 Tablespoon cookie scoop - not only does it make the perfect sized cookie, it makes the perfect sized meatball - about 1.5" in diameter. 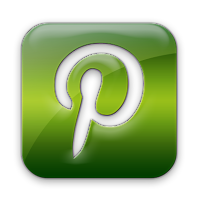 I line a cookie sheet with plastic wrap, which makes clean up so much easier. You can leave the meatballs as is, with the flat bottom, or you can roll them between your hands for a more rounded meatball. This is a Lotus Steamer basket, or a vegetable steamer basket. It is great, not only for the holes to drain the fat from the meat, but it can expand/contract to fit your pot. I am using 2 steamer baskets, and this top one is from IKEA - It comes with a detachable clip to help pull your steamer basket out. These are inexpensive and will help you do a full batch of meatballs in 2 layers. If you don't have an extra steamer, you can cook your meatballs in 2 separate batches. 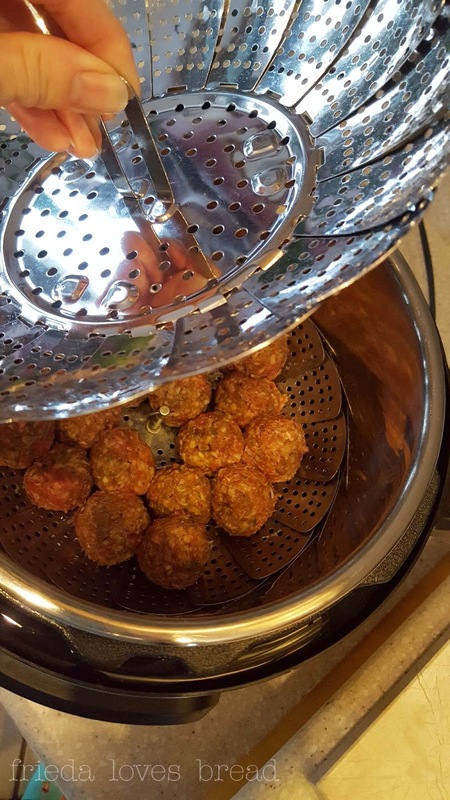 Put 1 cup of water into the pressure cooker, your steamer basket, and half of the meatballs. 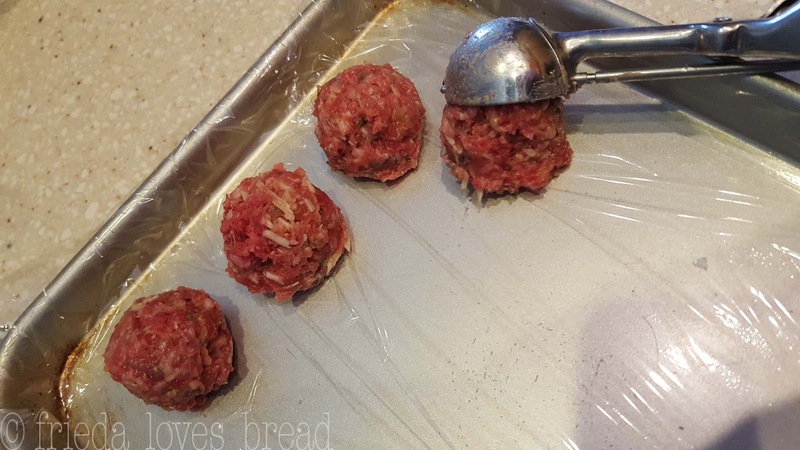 Place a second steamer basket on top of the meatballs and add your second layer of meat. Close the lid, put the pressure valve on sealing and set the pressure cooker on High (Manual) for 5 minutes. Use a quick release by opening the pressure valve - this will not toughen up the meatballs at all. I was pleasantly surprised that the meatballs didn't mesh together into ONE large lump! I was able to take them apart, like a puzzle, and the internal temp was 165°, perfect for cooked meatballs. I browned some of the meatballs under the broiler for about 4-6 minutes. Can you tell which one is the browned meatball? I really couldn't. It's the one on the left. I think I'll skip the browning step. 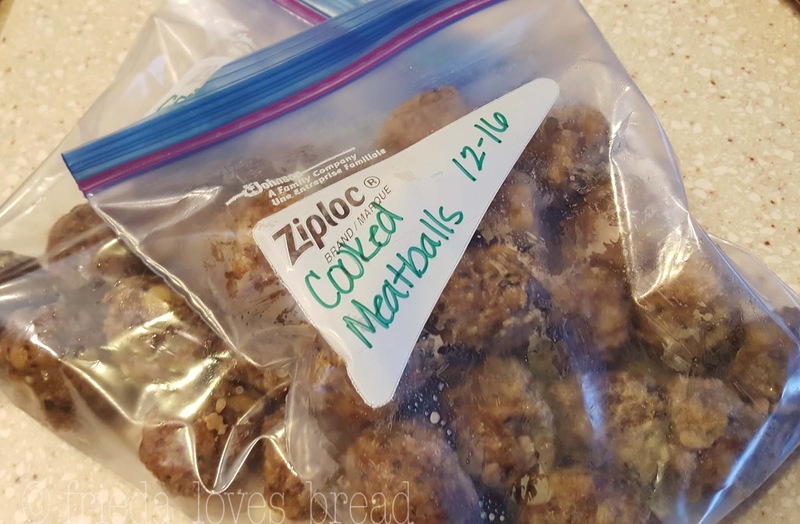 Once the meatballs have cooled, you can put them in a freezer safe bag and freeze for up to 6 months. I was able to get 39 meatballs prepped, and cooked in less than 30 minutes! It didn't take any less time than to bake them, but I'm sure it took less energy and in the summer months, you may not want your oven heating up your kitchen. 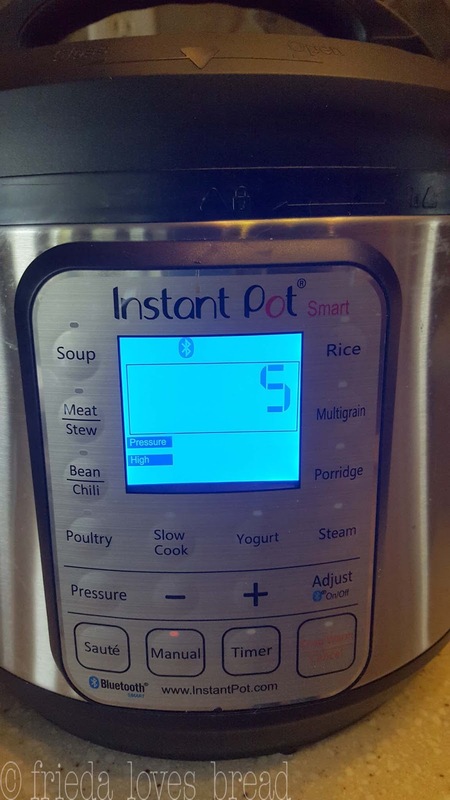 This is great news to those with limited kitchen space, or if you have an RV - cooking meatballs in a pressure cooker is a great alternative! Mix meat, eggs, bread, cheese, parsley, salt, pepper, and garlic in a large bowl until thoroughly combined. Form meatballs with large cookie scoop (2 T. size). Pour 1 cup of water in the liner of the pressure cooker. Place steamer basket into the pot liner. 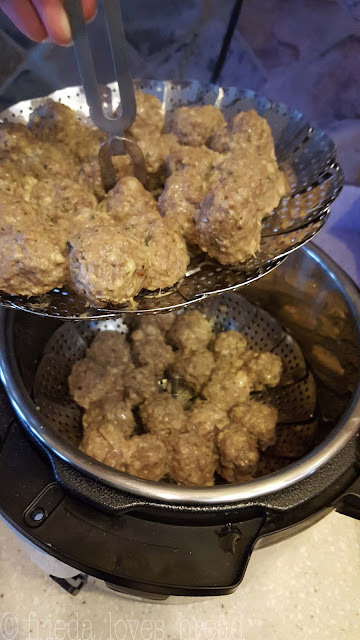 Layer half of the shaped meatballs onto the steamer basket. *Put another steamer basket on top, repeat with layering the rest of the meatballs. Close the lid, put pressure valve on sealing. Set for high pressure/manual for 5 minutes. When time is up, use a quick release by opening the pressure valve. Use in desired recipes or cool and freeze for future use. *If you only have one steamer basket, cook in two separate batches. Use these in an appetizer, with your favorite spaghetti sauce served over pasta or as a meatball sandwich. This recipe makes a bunch - about 39 meatballs, 1.5" in size. They freeze well in a freezer safe Ziploc bag, up to 6 months. To reheat, take 10 meatballs out, place in a microwave safe dish, covered, and microwave on high for 3 minutes.